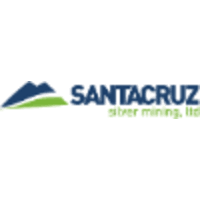 Santacruz Silver Mining Ltd. (TSX-V:SCZ) reports initial Phase I drill results from ongoing drill program at the Garcia and Armados mines that form part of the Company’s Veta Grande Project located in the Zacatecas mining district, Zacatecas, Mexico. The objective of the drill program is to better define the down dip extension of the Veta Grande and Armados veins through surface and underground core drilling. To date ten drill holes totaling 3,323 meters of core drilling has been competed on the property and the Company has received results for the first six drill holes. As part of the Company’s quality assurance quality control program, independently certified control samples (standard and blank pulp samples) were inserted in each analytical batch. The control sample results were then checked to ensure proper QA/QC. The technical information contained in this news release has been reviewed and approved by Van Phu Bui, B.Sc., P. Geo., who is independent of the Company and a “qualified person” under National Instrument 43-101.